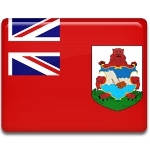 National Heroes Day is annually celebrated in Bermuda on the third Monday in June. This holiday was established in 2008. National Heroes Day was celebrated for the first time on October 13, 2008, but the next year the date of the holiday was moved to June to replace Queens' Birthday. National Heroes Day is celebrated to honor those men and women, who officially became National Heroes in Bermuda. But who is a National Hero? This is a person, who is admired and acknowledged for their courage, noble qualities and outstanding achievements. Their significant contribution to the growth and development of society are very important for Bermuda. As for 2014, only five were given title of a National Hero. At the same time celebration of this day doesn't mean, that National Heroes will be named annually. Dame Lois Browne Evans, a lawyer and political figure, became the first National Heroine to be honored (in 2008, 2009 and 2010), Dr Edgar Fitzgerald Gordon (physician, parliamentarian, civil-rights activist and labor leader), Sir Henry James Tucker (the first Prime Minister of Bermuda) and Dr Roosevelt Brown (architect) were honored in 2010. Bermuda's 2012 National Heroine was Mary Prince, who was a slave in Bermuda.